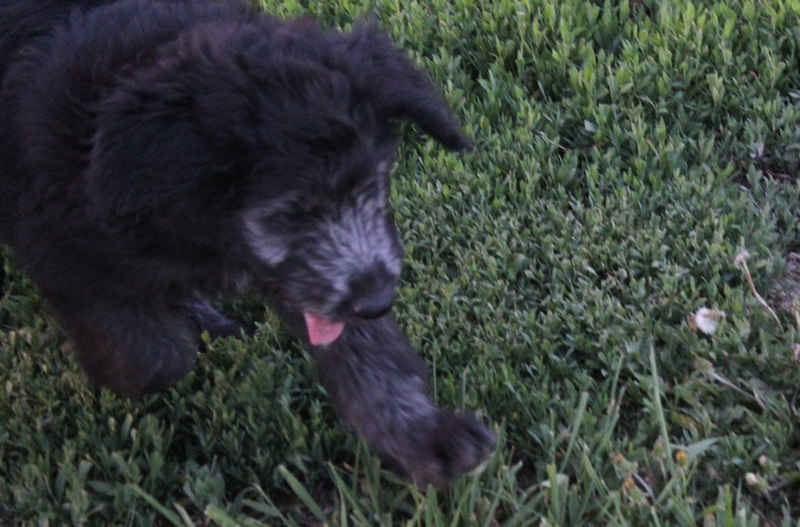 Sadie and Remi's puppies have arrived. There are 8 puppies total, with 4 being blue merle boys, 3 black (possible will turn silver) boys, and one black (possibly will turn silver) girl. Their puppies will be ready for their new homes the middle of May. 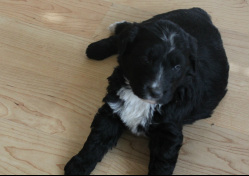 Sadie has had one previous litter of Aussiedoodle puppies, sired by Jake. They were just darlings. These puppies will be just as nice. 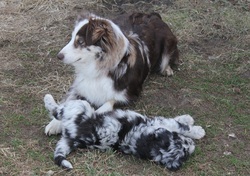 Sadie is a Miniature Aussie, weighing 32 lbs and 19 inches tall, and Remi is a silver mocha standard poodle weighing 62 lbs and standing 22 inches. These puppies should be smaller, but I do not guarantee height/size. 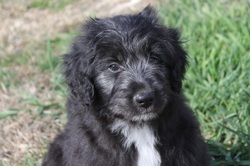 I have received deposits on all four merle boys and one black boy. 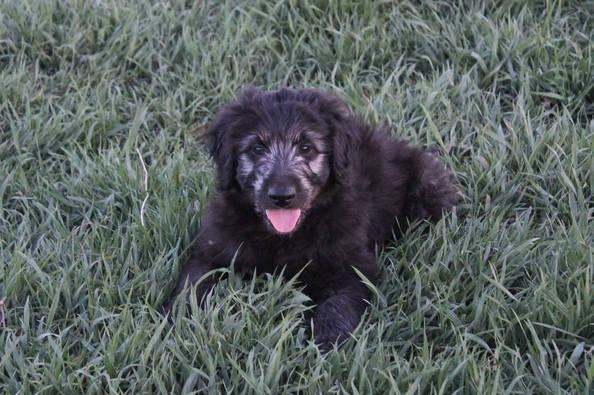 2 black/silver boys and 1 black/silver girl are still available. Black/Silver Girl, going to Liz and family. 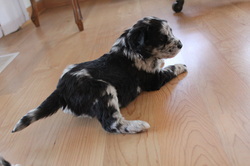 Blue Merle Boy #1-half black face, lovely markings on this boy. Owner will be John. Blue Merle Boy #3 With Blue Eyes-Nice dark pattern on this boy. Owned by Wendy. BENTLEY-Beautiful face markings. CHOSEN BY YO IN CALIFORNIA. ODIE (FORMERLY CALLED BOB.) Sold to Sandi and family. © 2016 Sand Lake Kennels, All Rights Reserved.